Herbal teas can be taken cold, but for some mothers, warm herbal teas support milk supply better. Warm tea gently in a pot to avoid the loss of volatile oils in the steam. If you are using tap water - especially if you have older pipes, or if you suspect that they may contain lead from solder that joins the pipes together - let the faucet run for several minutes first thing in the morning before making tea. This will flush out the water that was standing in the pipe. At other times of the day, run the faucet for half a minute. Connoisseurs recommend that tea water be heated just prior to boiling; they say that losing oxygen from boiling gives tea a flat taste. Obviously, mothers with a newborn do not have time to watch a pot-letting it boil is just fine. Most of us can't taste the difference anyway. 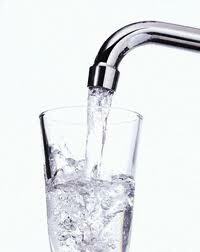 Use a container or cup made of glass or ceramic, not plastic, or metal. Cover the container tightly; for instance, use a canning jar with a screw-on top. 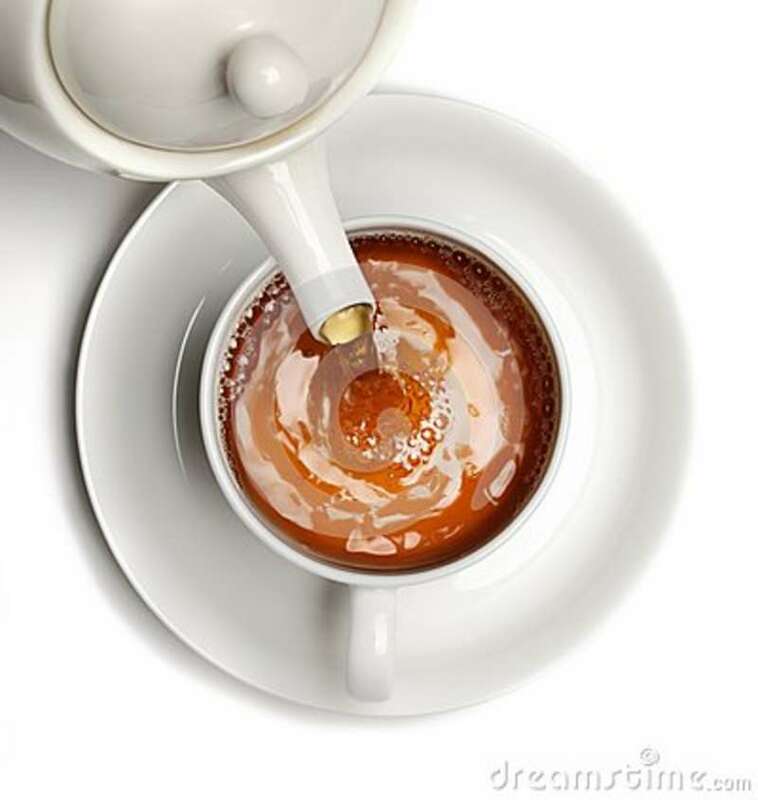 If you are using a cup, cover it while steeping so that the herb's volatile oils do not escape with the steam. The amount of herb per cup will vary, depending on the herb used, the effect desired, one's sensitivity to the herb, and one's personal taste. Per Cup: Use one teaspoon of dried herb, or one tablespoon of fresh herb, per cup of water. When taking lactogenic tea, stronger doses may be necessary - double or triple this amount - especially at the beginning when building a milk supply. Per Quart: Use two rounded tablespoons of dried herbs, or one handful of fresh herbs, to a quart of water. Double or triple this amount if you are starting an herbal program to increase milk supply. Remember: New herbs are to be tried individually at low dosage in order to be sure that there are no allergic reactions or side effects. Be especially cautious with herbs that are noted to trigger allergic reactions or produce other side effects. 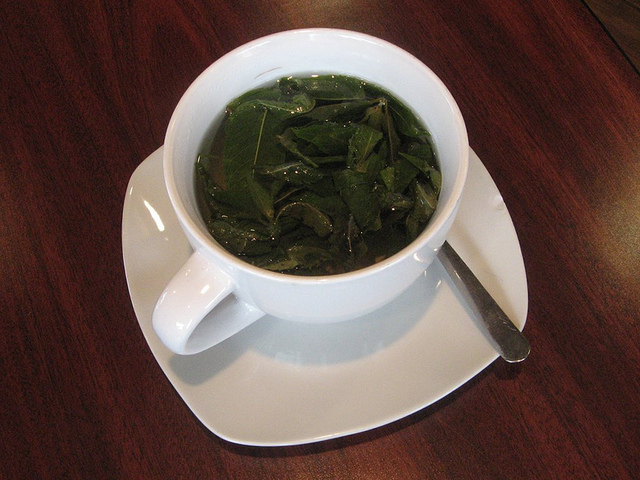 Mild, or Medicinal Tea Tea can be steeped for as little as a half minute, or for as long as 20 minutes. For a mild cup of tea, steep from 1/2 to 3 minutes. For a stronger, or 'therapeutic dosage,' steep between 5 to 20 minutes. If you do not own a special herbal teacup with fitted strainer and top, improvise. Place the herb in a tea strainer. Steady the strainer on the rim of the cup. 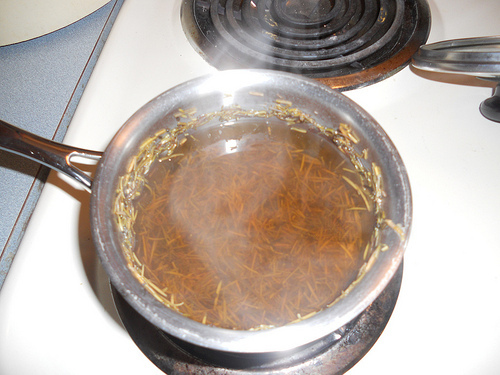 Pour boiling water into the cup until the herbs are submerged. Cover the cup and strainer with a small plate and steep. 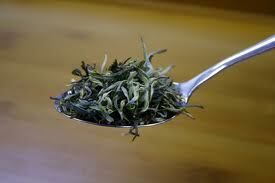 An alternative is to put the herbs directly into the cup, and cover it with boiling water. Cover the cup with a plate, and, after steeping, strain off the liquid into a new cup. Use a teapot with a cover. Submerge the herbs in boiling water. Steep the tea and strain the tea off into another container, or, leave the herb in the teapot and strain each individual cup when poured. If the herb remains in the teapot, the tea will have a stronger medicinal effect, but the bitter taste will also be more apparent. Honey, maple syrup, blackstrap molasses, barley malt, and other natural sweeteners are rich in minerals, whereas white sugar actually pulls minerals right out of the body. Therefore, white, refined sugar should generally be avoided, and not used to sweeten tea. Stevia, a sweet-tasting herb, has medicinal properties that may benefit the pregnant and breastfeeding mother. Stevia is a good option when mothers are trying to reduce calories. Dilution: If a therapeutic cup of tea is too bitter for you to drink, dilute it well and sweeten it with stevia or other natural sweetener. It is better to drink diluted, sweetened tea throughout the day than to be unable to drink even one bitter cup of tea. Use a container such as a heat-resistant quart canning jar with an airtight cover or screw-on top. Place the herbs in the quart jar - use two to four rounded tablespoons of dried herbs, or one to two handfuls of fresh herbs, to a quart. Fill the jar with boiling water right up to the top and cover tightly. Infuse the herbs for between three and eight hours, or overnight. Then strain the liquid into another airtight container and discard the herbs. 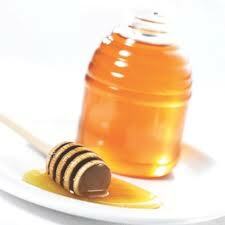 Sweeten to taste with a natural sweetener. Infusions will keep in the refrigerator for up to two days, though it is best to make them fresh each day. They can be taken warm or cold. Do not microwave herbal tea - warm tea gently in a pot to avoid the loss of volatile oils in the steam. Decoction uses continuous heat and water to extract substances from tough plant fiber, such as roots, bark, seeds, or thick, fibrous leaves. 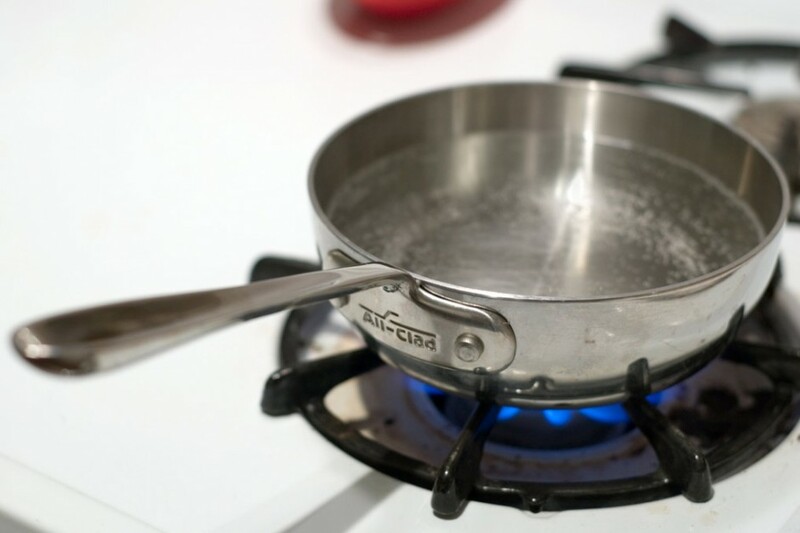 Simmer: Decoctions can simmer for 10 - 30 minutes, or longer, and they become more concentrated, the more liquid has simmered off. Proportion: The proportion of herbs to water is about the same as for an infusion, or two to four rounded tablespoons of dried herbs, or one to two handfuls of fresh herbs, to a quart. However, as with all herbal teas, some mothers are responsive to milder dosages. Tea can be steeped for as little as a half minute, (and or) for as long as 20 minutes.